AESA’s Drama Class put on a wonderful showcase of Theater Acts on Friday, Dec. 5th. 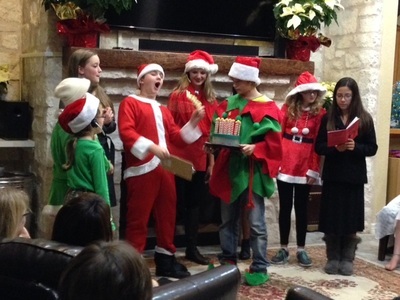 They performed three plays: The Santa Claus Chronicles, King Midas and the Golden Touch, and Soapy Smith’s Winter Wish. Carol Horn, AESA’s Drama Teacher, and our students did a fabulous job on the play!